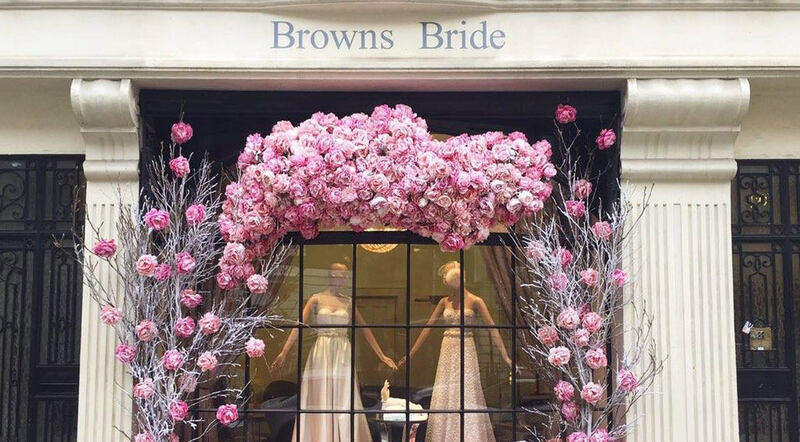 Browns Bride is the creation of Caroline Burstein, whose parents founded the world renowned boutique Browns in South Molton street back in 1970. At that time Caroline was the co-founder of the beauty brand Molton Brown which she subsequently sold in 1993. It is from this background of beauty and high fashion that ‘Browns Bride’ was born in 2004, and from the day the store opened, bridal shopping was instantly refreshed and revolutionised. Having been exposed to the very heart of fashion with frequent seats on the front row at shows such as Alexander McQueen and Giambattista Valli is what gives us that unique fashion edge. Using our trained eye, we seek out the most beautiful wedding dresses from highly talented contemporary designers around the world. We then edit from each collection to bring you only the very best. When you visit us, our team of passionate and knowledgeable stylists will help you find your special dress. Once you’ve chosen your dress, one of our couture seamstresses will ensure your dress fits perfectly in every way. We want your experience with us to be personal, enjoyable and memorable. To complement our dresses, we have a selection of bridal accessories which include Louboutin shoes, unique veils, stunning jewellery and hair pieces, some of which can be purchased online.